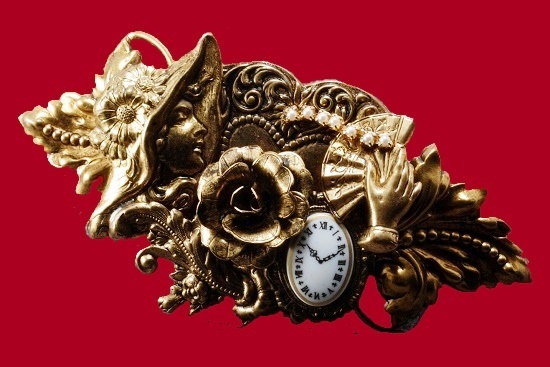 The author of this gorgeous Victorian style brooch is Lebanon Tenessi based jewelry designer Ramona Crutcher. 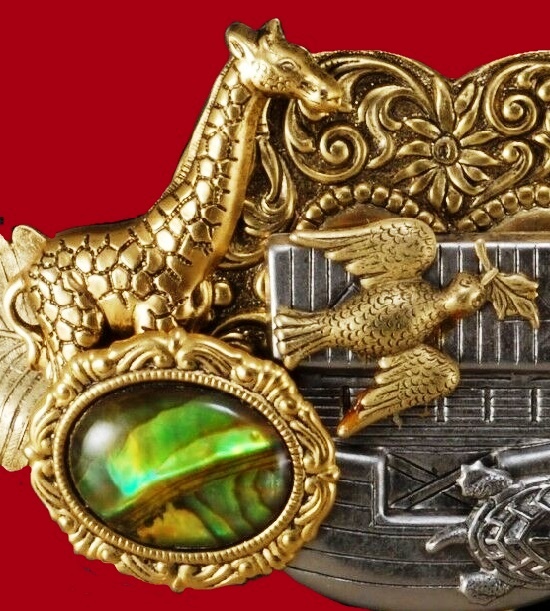 Born 30 August 1953, Ramona, teacher by profession, created gorgeous handmade jewelry pieces in small qiantities. 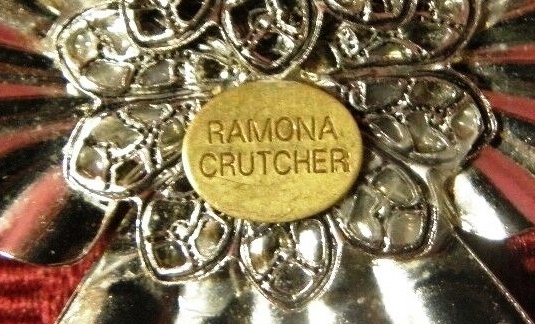 Created mostly in 1990s, all signed Ramona Cratcher decorations have become vintage rarity now. 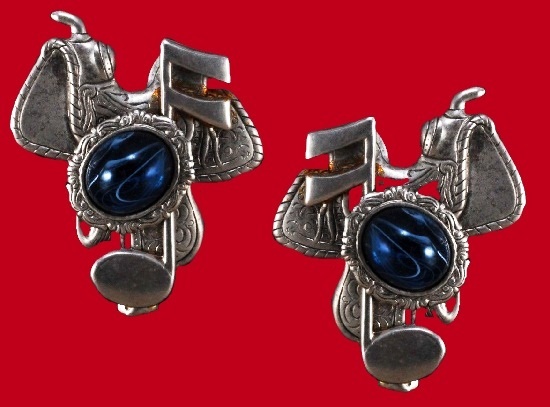 Traditionally, the jeweler used brass tone metal as the base and cabochons imitating natural stones, as well as rhinestones. 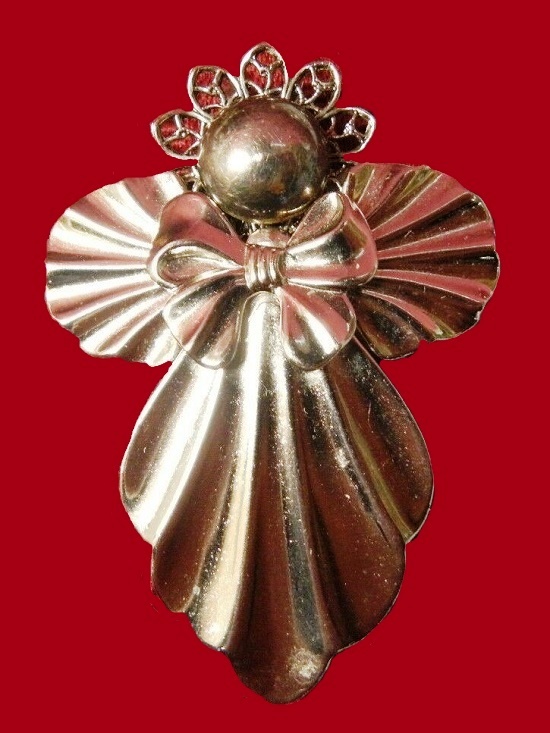 The design of her high quality decorations is very beautiful, made in Art Deco, Victorian or mixed styles. 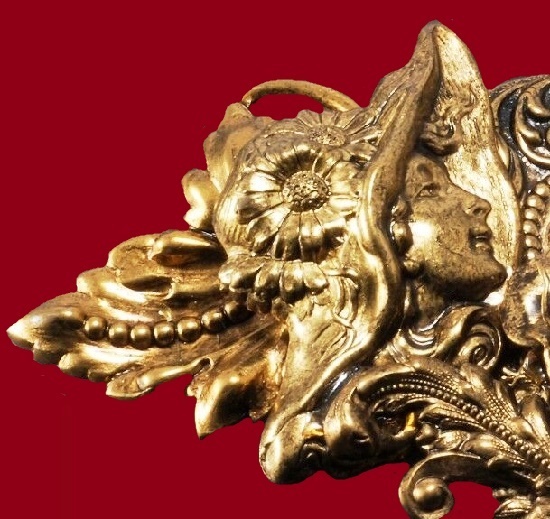 Besides, each piece – brooch or hair barrette have quite a complicated design which included many cast brass pieces. 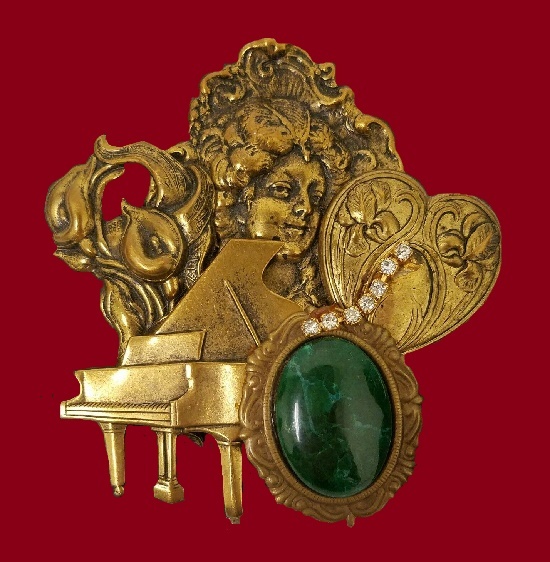 For example, one hair barrette design included piano, calla lilies, embossed heart with iris, Victorian woman in a hat, etc. 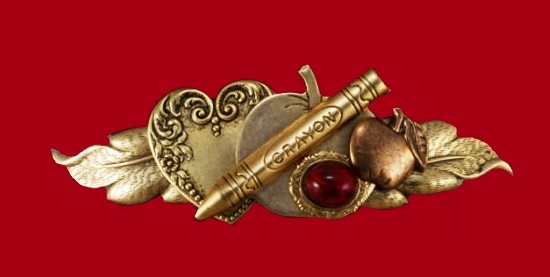 Noteworthy, the designer usually signed her decorations “Ramona Crutcher”, or “Jewelry by Ramona”. 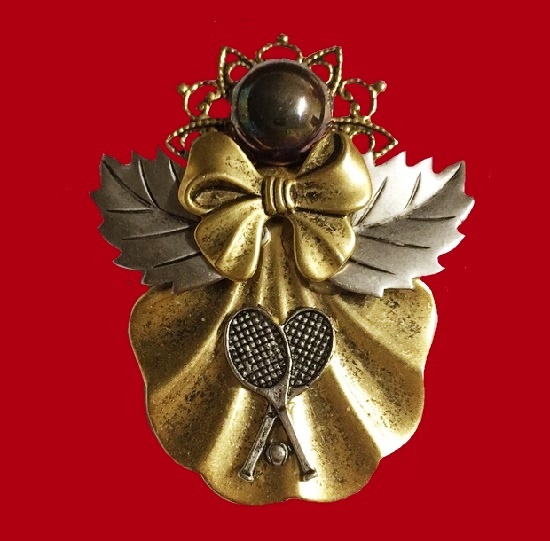 However, some of her jewelry pieces came on the original card with a business card attached. And the back of the card included some information. 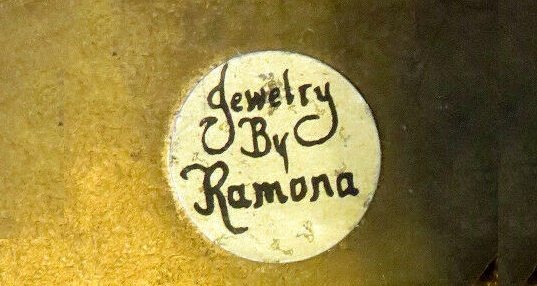 In particular, year of manufacture, and brand’s name “Jewelry by Ramona, Inc”. 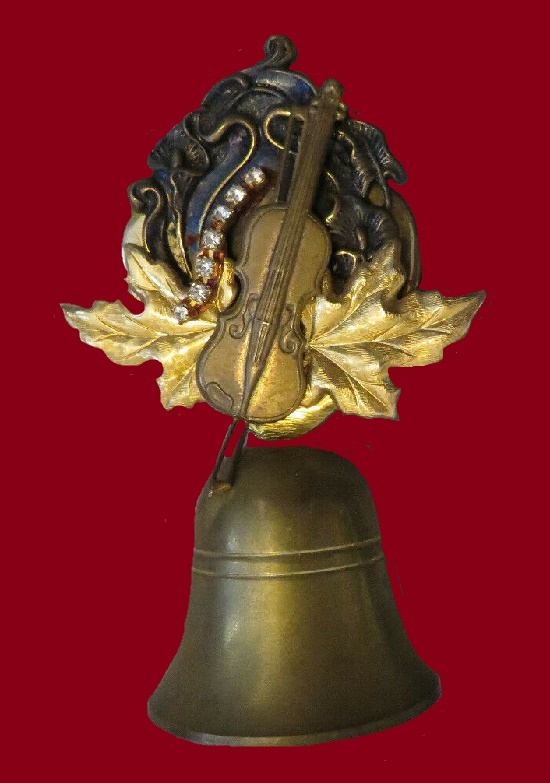 Also, she added the address of the certain piece – handcrafted in Lebanon, Tennessee. Limited in number, each design – may never be offered again. Also, Ramona’s statement “the uniqueness and versatility will be treasured for generations”. 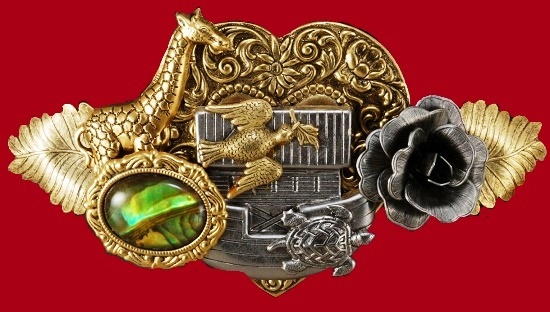 During many years of designing and making jewelry in her spare time, Ramona built a business that allowed her to resign from her teaching work. In 2007, her friend, Rita, and her daughter, Holly, became her business partners, and in 2017 they sold their business to Lauren Lasko.